The Mariachi Method Book transforms the traditional verbal teaching of this time-honored genre into a written text. 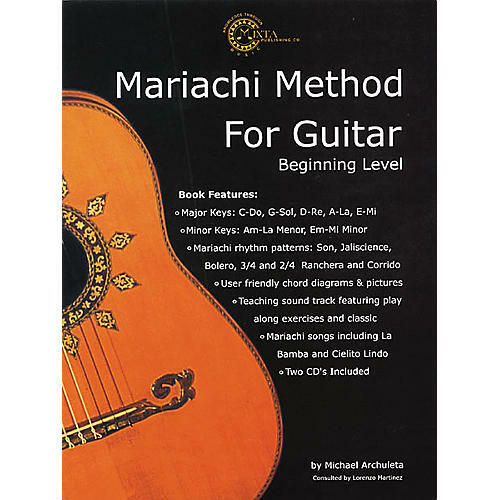 This book is especially designed to teach the beginning player the fundamentals of Mariachi guitar. It contains lessons that introduce the primary chords, followed by easy exercises, new rhythm patterns and great songs to put your new Mariachi knowledge to use. The 2 accompanying CDs provide a teaching soundtrack to guide you through the exercises, rhythms and songs.